Among the top IM apps, WhatsApp is one of the most popular applications that not only provides an easy medium to communicate, but also deals in the exchange of music, videos, pictures and even your current location. It has an enormous number of active users reaching out to over 600 million where it marked a milestone. 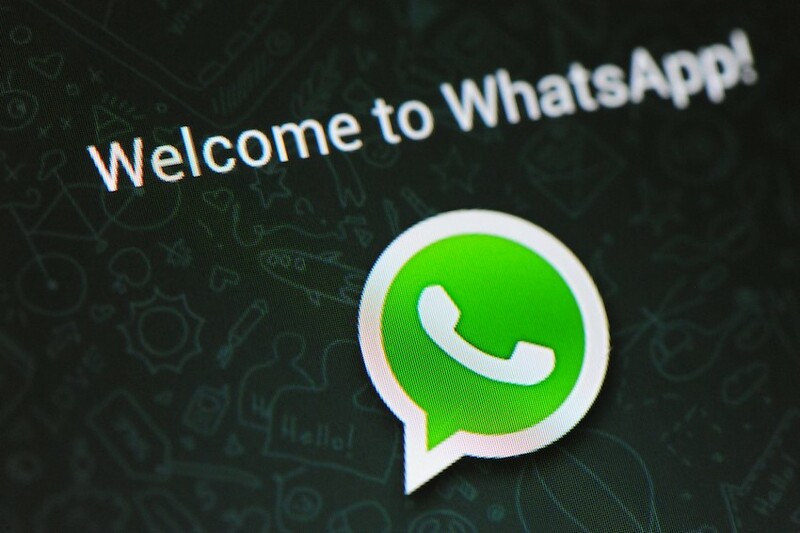 WhatsApp is available on multiple platforms such as iOS, Android and Windows. WhatsApp offers numerous features that we all love, however the only aspect that hinders the path to complete freedom is the limited file size of attachments. Whether its a video, or a picture, you can’t exceed the 16 MB size limit. So, this is where the mod (which we’ll tell you about today) will kick-in, that’ll aid in expanding the limited mark. There is not much to do, and you can stretch the 16 MB limit to as far as 2GB. This means you can not only send videos, pictures and music but also movies which are not limited to the 16mb mark. All you need is a minor edit for which you will need a rooted android smartphone. 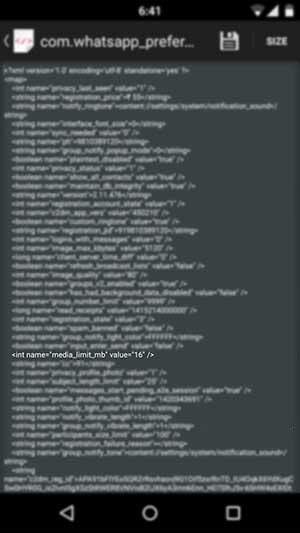 You will need to edit the specific xml file, this would ensure that the mod works properly. The working of this process is approved by many, however it may reset to the standard 16 MB if WhatsApp is updated or when the device is rebooted a few times. On a serious note: if the app data below is mishandled this might cause the app to malfunction. There are two things that you should keep in mind, the device needs to be rooted so it can open the file and edit it and a root explorer with text editor is required. 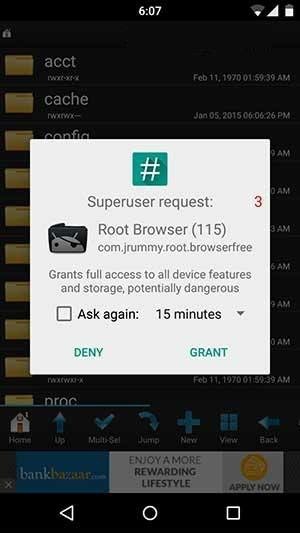 For this we’d recommend Root Browser By Jrummy. Apps. So lets start. 1. WhatsApp should be installed and the user should be logged in. 2. Open the Root Browser app. 3. Grant Root permission when the message prompts. 4. Open ‘data’ and press ‘data’ again. 5. 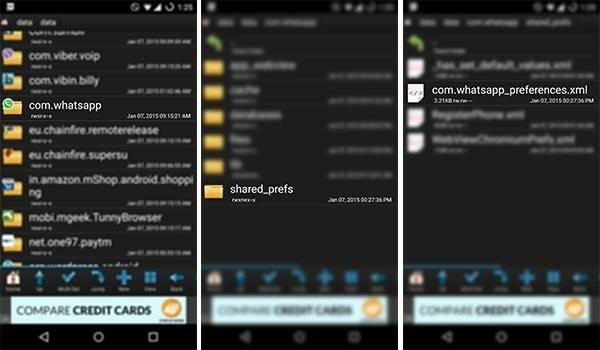 Open the ‘com.WhatsApp’ folder then the ‘shared_prefs’ folder. Here you will find the main file by the name of ‘com.WhatsApp_prefrences.xml’. 6. Long tap on ‘com.WhatsApp_prefrences’ and press Open with. 7. From the list of given apps, open RB Text Editor. 8. You will see the file opened with the text editor. 9. Now you must find these key words from the text provided. 10. Now change the number 16 to your desired value. 11. The numbers replaced are in MBs and should be set to the maximum of 2048. 12. Now you should save and exit the file. 13. Reboot your device on time and enjoy increased file sharing. Thats it folks. If you followed the instructions carefully as highlighted above, you’ll now be able to increase your WhatsApp attachment file size with ease. Do leave a comment below if the process worked out for you so that others can benefit from it as well.